At its core, Wireless Health is a powerful heuristics engine that rapidly identifies anomalies impacting end users’ experience across every stage of client connectivity — association, authentication, IP addressing, and DNS availability — for rapid root cause analysis and response. 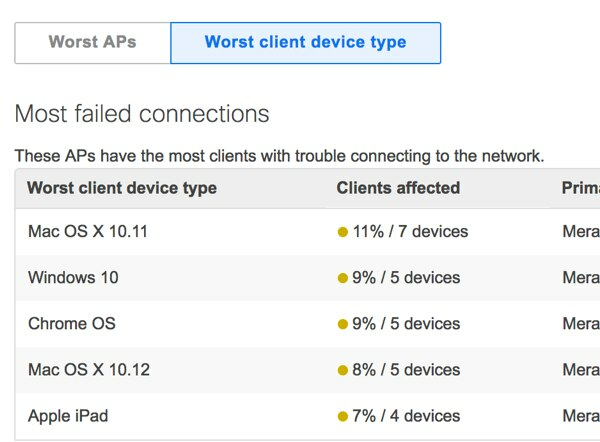 Using Wireless Health, you can immediately see if users are able to access your network, identify problematic APs and clients, and pinpoint stages of failure. Meraki Wireless Health simplifies the optimization of the wireless network by automatically identifying issues in three broad categories. Can users access the wireless network successfully? Are connected users having a good experience? Are any access points overloaded or in need of optimization? Wireless Health allows the IT administrator to dive into these metrics and have them simply expressed in the intuitive Meraki dashboard. Once connected, a closer look at latency on the network points to the kind of experience wireless clients are having, and whether they are experiencing any issues. 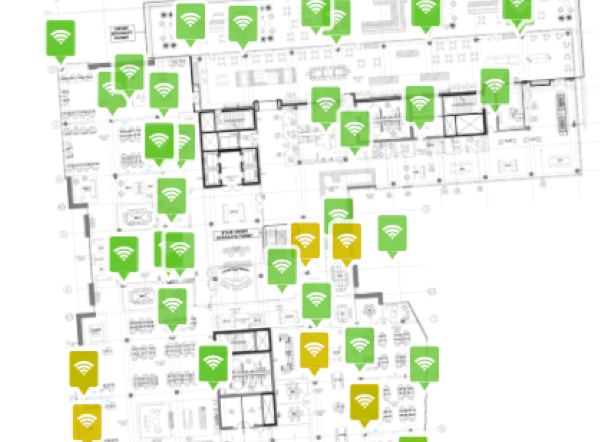 The health of each access point is also assessed to ensure it has the capacity and best configuration to meet the demands of wireless clients. By combining this information, wireless networking issues can be quickly identified, prompting either configuration changes or improvements to the physical network deployment. Many factors can result in a poor experience, and it’s common for users to blame the network to which they immediately connect; typically their wireless network. 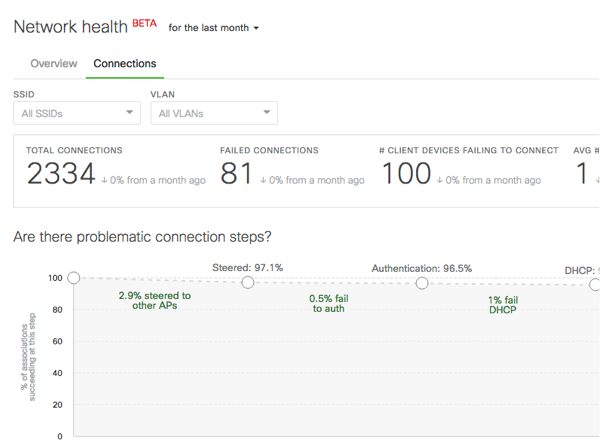 With Meraki Wireless Health, the tools now exist to help the IT administrator understand whether the problem does indeed lie with the wireless network, or perhaps with another factor, such as WAN or application server performance. Combining Meraki Wireless Health with Meraki Insight provides complete end-to-end visibility into all factors determining network experience. With over a decade of experience building enterprise class cloud managed Wi-Fi, Meraki has a wealth of knowledge with which to help optimize wireless networks. Meraki Wireless Health has been built on top of existing troubleshooting tools to assist with monitoring and maintaining a great experience for users relying on their wireless network. With Meraki Wireless Health, network administrators can ensure their organization is never slowed down in the pursuit of its own mission. Try for yourself and experience a new generation of wireless networks.